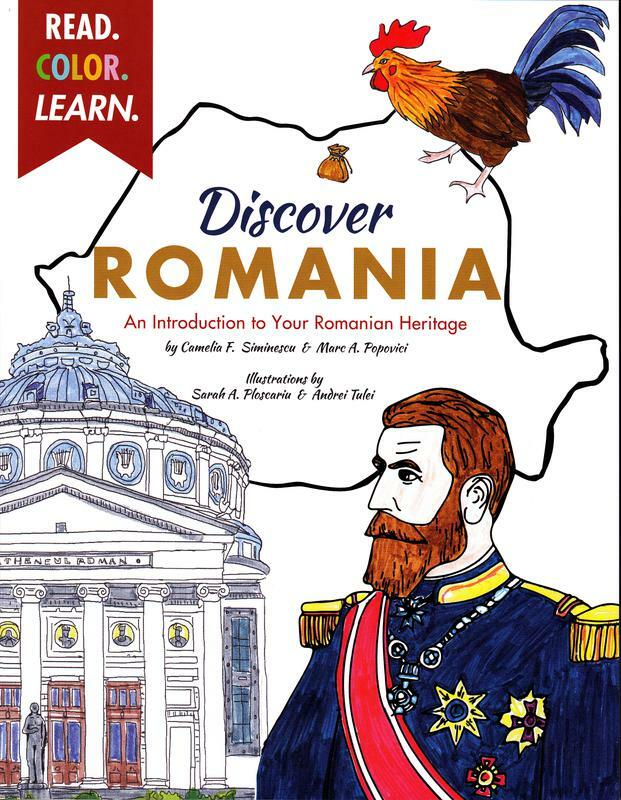 Discover Romania: An Introduction to Your Romanian Heritage is a fun yet educational coloring book that includes major highlights of Romanian history, culture, and geography. 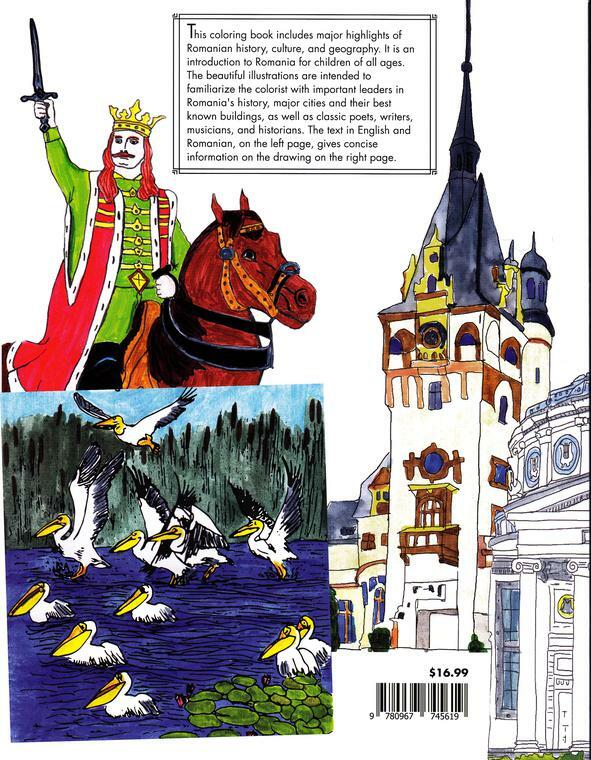 The beautiful drawings will help familiarize the colorist with important historical leaders, major cities, as well as classic poets, writers, and musicians. This book includes a small section about Basarabia. It is a bilingual book, English and Romanian, making it easier for your child to read and learn about his or her Romanian heritage. This 100-page paperback book measures 8 1/2 by 11 inches and is made of good quality paper. Price per book is $16.99. For 5 or more books shipped to the same address, the price is $16.00 per book. Shipping for one book is $3.50, for more than one please email and we will give an estimate.